Chabad Hebrew School is among the many programs offered by Chabad of Fresno. We have created a stimulating yet friendly environment where children embrace their Jewish roots and gain a true sense of Jewish pride, no matter their level of observance or affiliation. 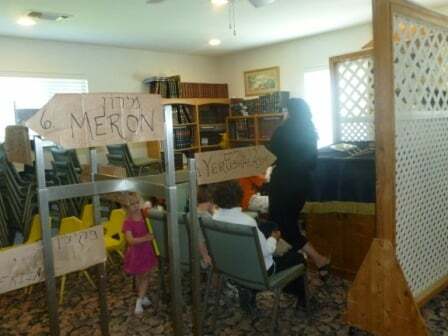 Children, ages four and up, acquire a broad knowledge of Judaism through a motivating and challenging venue. Our students gain an appreciation for the joys, values and traditions of our heritage as it is vividly brought to life by the dedicated and enthusiastic teachers whose creativity and dynamism make every lesson a unique learning experience. CHS was created to provide education that will instill pride, a sense of history, love for the land of Israel and a genuine understanding of what Judaism is all about. Our school welcomes every Jew, regardless of religious background or level of observance. It is for this reason that our school does not require any membership or prior affiliations as a condition for enrollment. Studies have shown that when there is parental involvement in a child's education, the experience is exponentially more effective. Parents want their children to succeed in school and become accomplished members of society. When enrolling your child in CHS, you are demonstrating to your child that Judaism is an integral part of your family's life. And you want it to be an integral part of theirs. Chabad Hebrew School offers many venues for parental involvement: Our weekly Missions, Family Shabbat and Holiday events, and much more. In addition, we invite our parents to volunteer and to take advantage of our many adult education classes. You will be empowered and able to converse Jewishly with your child, while leading by example.